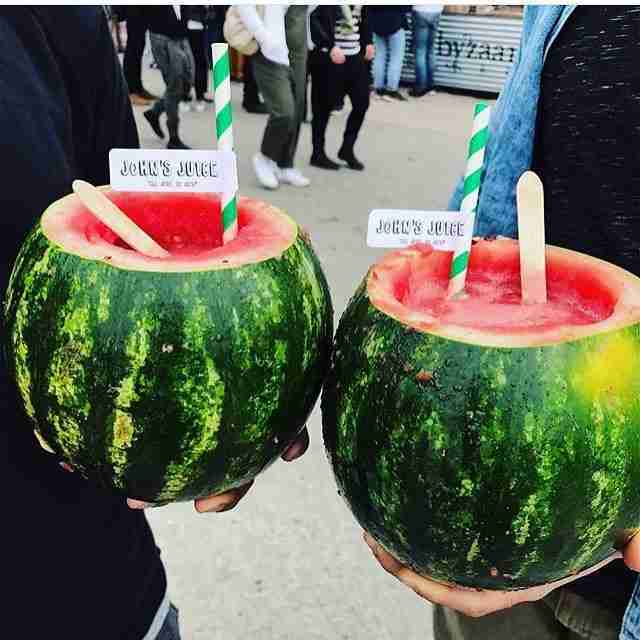 Outshining the mainstage every year at Gov Ball is the food lineup, which predictably takes over Instagram for all three days of the annual Randalls Island music festival. While festival passes may get you access to see Lorde, Chance the Rapper, Phoenix, Childish Gambino, and more of your most-played Spotify artists all in one place, the true joy of trekking out to this island festival is eating your way through it. 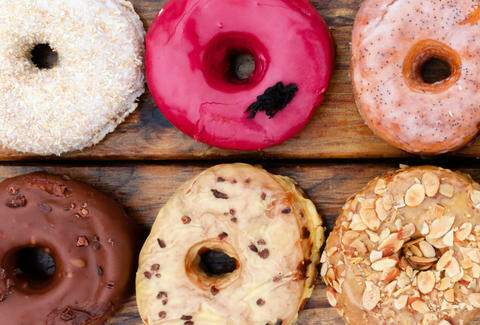 If you’re heading there this weekend, here’s what you need to eat. 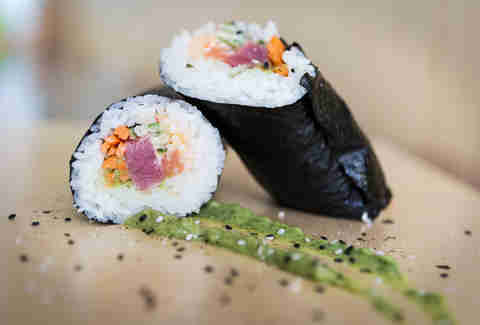 NYC’s OG sushi burrito spot will serve its signature Uma-ritto, as well as a tofu-ritto for fish-free festival goers. Both seaweed-roll creations will go for $11.50, with steamed edamame on the side for $3.50. 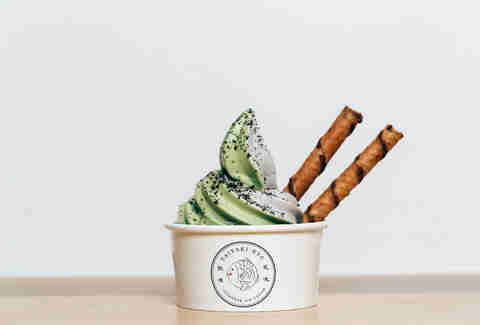 Everyone’s favorite fish cone-slinging ice cream shop will be selling matcha soft-serve cones in a signature red bean Taiyaki fish cone, with mochi or a wafer stick and strawberry drizzle ($8). You can also skip the cone and get the soft serve in a cup for $6 -- and chase it down with homemade matcha green tea lemonade (also $6). 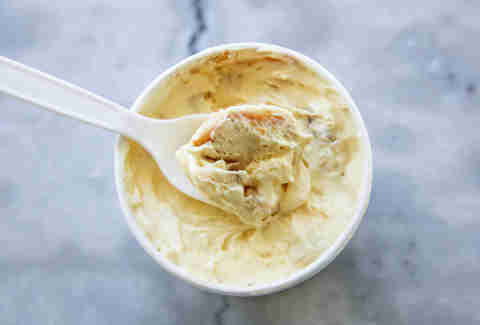 You’ll most likely have to wait in line for this egg-free, ready-to-eat cookie dough sensation, but waiting in line while listening to Wu-Tang live is far better than waiting in line with tourists at the shop’s Greenwich Village location. New York’s iconic cupcake spot will debut three brand-new banana puddings at Gov Ball: Unicorn swirled with rainbow confetti; S’mores with marshmallows, chocolate, and graham crackers; and Salted Caramel with de leche pudding and homemade salted caramel. You can get all three for $9. Those Gov Ball passes weren’t cheap, and you should celebrate the special occasion accordingly with lobster. 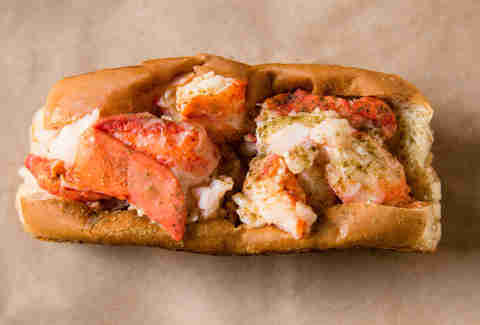 A classic lobster roll will go for $17, but if you’re looking for something cheaper, the shrimp roll ($9) and crab roll ($13) are solid alternatives. 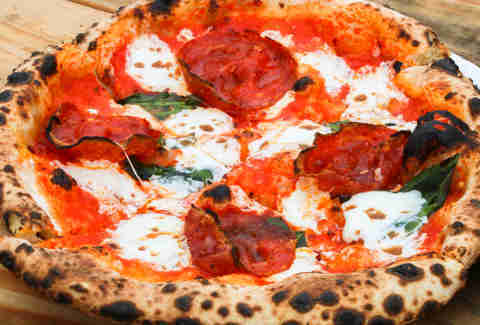 The famed Bushwick pizza joint returns to Gov Ball with its personal Neapolitan pies, including The Bee Sting topped with ample pepperoni, honey, and chili flakes. If you were dreaming of holding up a passionfruit or a pineapple while swaying near the stage, this all-fruit, no-cups joint is your best bet. 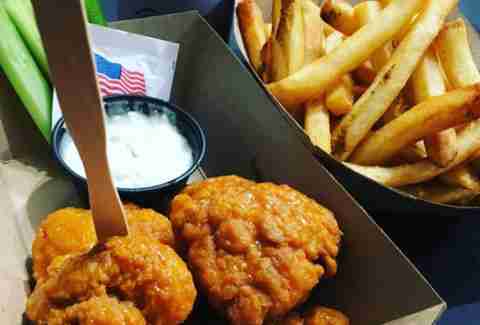 Back for another year at Gov Ball, this popular wing purveyor will serve both traditional and boneless wings in a variety of flavors including hot Buffalo and smokey bourbon BBQ. Tater tots, French fries, and pink lemonade will also be available. 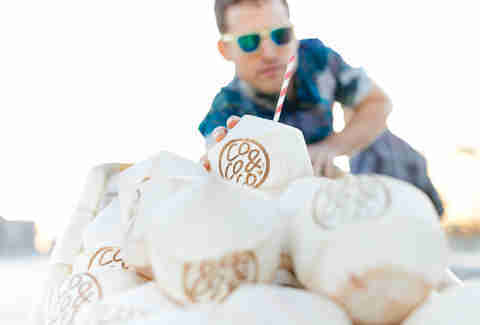 If you’re in dire need of hydration, head to this stand for a refreshing, drinkable coconut. It’ll make next morning’s early set so much more enjoyable. 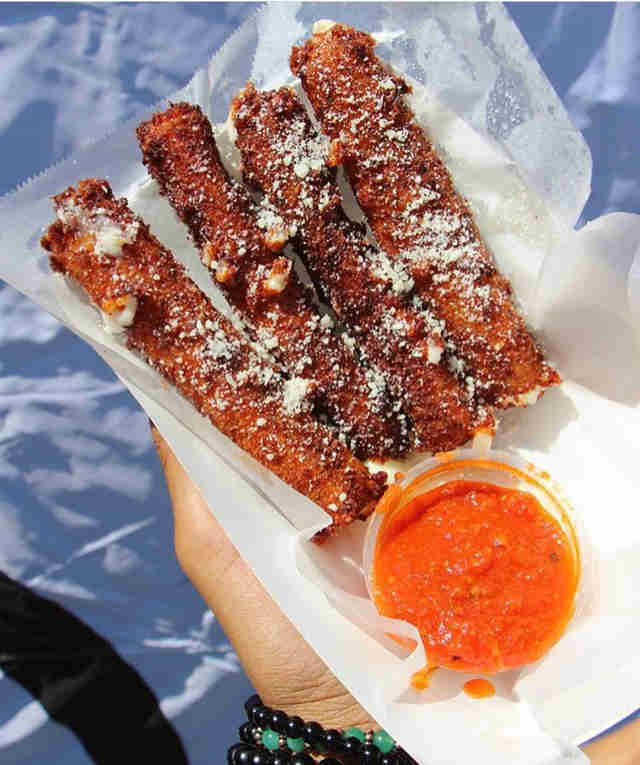 This cheesy Smorgasburg favorite will be serving its giant handmade mozzarella sticks (four for $10) with tomato dipping sauce and mint lemonade ($5). 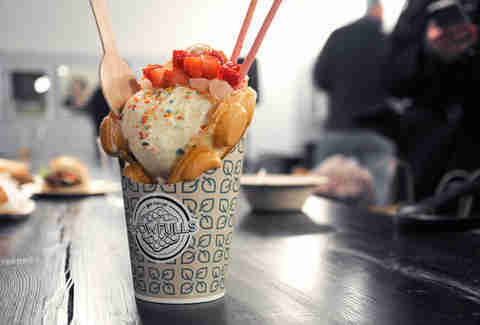 Back at Gov Ball for its second year, Wowfulls will be rolling and scooping up its Insta-famous ice cream-filled egg waffles, to be topped with chocolate sauce, rainbow sprinkles, powdered sugar, and Pocky sticks, all for $12. If you’re starting your festival mornings early, wake up with this Aussie Cafe’s avocado smash on Balthazar sourdough toast ($9) and a cold brew ($6) or iced golden latte ($7) to get you energized. 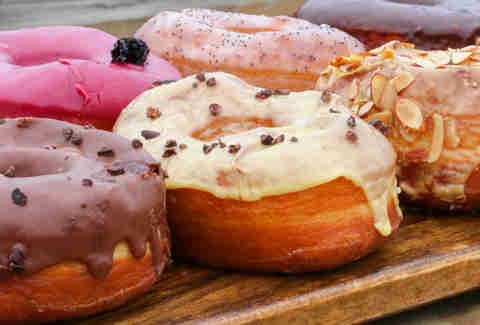 One of New York’s first artisanal donut spots, Dough, will be serving assorted donuts to keep that sugar high going throughout the day. Fried matzo balls Harry & Ida’s Meat and Supply Co. Chef Will Horowitz’s Alphabet City-based nouveau deli is changing up its festival menu this year with Russian dressing-drenched pastrami Reuben tater tots, fried matzo balls, and the shop’s signature house dill pickles, all to snack on during the festival. 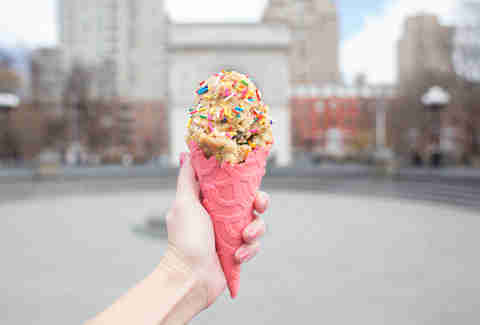 Melissa is a writer based in NYC who really loved the spaghetti cones at last year’s Gov Ball. Follow her on Twitter and Instagram.